Does Everyone Need Eight Hours of Sleep? Everyone wants to know—how much sleep to I really need? While everyone might not need exactly eight hours, the average adult does need seven to nine. Without that important time for the body to rest, recharge, and heal, mental and physical capacities start to suffer. The good news is there are many habits and behaviors that can be developed to increase both sleep quality and amount. Sleep plays an important role in the learning process by helping with the acquisition and consolidation of memories. During sleep, the brain strengthens neural connections to consolidate and solidify memories. If a person enters a state of sleep deprivation, which occurs when they get six hours of sleep or less, the mind begins to wander, neurons cannot work efficiently, and the coordination of information and memories begins to slow. Memories aren’t the only area of the brain affected by sleep loss. Without enough sleep, the amygdala, the part of the brain that processes emotions, becomes over sensitive to negative thoughts and events. At the same time, activity goes down in the prefrontal cortex, the part of the brain that applies logic and reasoning to emotions. Irritability, anger, and aggression become much more common as the number of sleep hours go down. Other systems slow down and decrease their efficiency during sleep loss too. The immune system, in particular, takes a hit in a couple of different ways. First, the immune system goes to work healing and rejuvenating cells while you sleep. A shortened sleep period makes it hard for the body to reach a state of health and equilibrium. Secondly, the process through which cells create energy is linked to the timing of circadian rhythms. 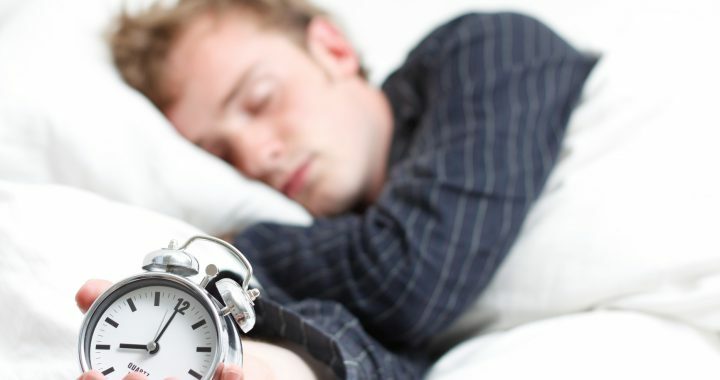 Circadian rhythms control the sleep-wake cycle. If the circadian rhythms get disrupted, cell energy production is also disrupted resulting in fatigue. Less cell energy comes back to further disrupt the circadian rhythms, creating a vicious cycle of sleeplessness and fatigue that continue to feed one another. To boost memory and learning, stabilize emotions, and increase energy levels, sleep has to be a priority. Allergies can cause some issues that make getting a good night’s rest more challenging, but with consistent effort, better, more efficient sleep may only be a few good habits away. Allergens in the bedroom like dust, pet dander, and pollen present the biggest problems. Swollen airways and excess mucus can cause sleep apnea and other breathing-related sleep disorders. Getting Comfortable: A bedroom that’s kept completely dark with the temperature between 60 to 68 degrees creates optimal sleep conditions. Comfort may also come in the form of a therapeutic pillow, weighted blanket, or breathable natural fiber sheets. Be Consistent: A regular wake up time and bedtime help the body adjust the release of sleep hormones. Avoid Stimulants and Electronics: Stimulants, like caffeine, block sleep hormones while electronics give off a blue light that suppresses them. Avoid both in the hours before bed. While everyone might not need eight hours of sleep, everyone needs at least seven hours on a consistent basis. If it is a priority, both mind and body will function at their best. Posted in Allergies and tagged allergy bedding, allergy-free pillows, better sleep, Dust Mite Allergy, how to remove allergens from the bedroom, pollen allergy, sleep and allergies, sleep apnea, Tuck.